Technology is a critical component of the modern office, but it’s only a matter of time until it breaks down and leaves you in a bind. In a way, it’s a lot like owning a vehicle. You need it to get from Point A to Point B, but when it doesn’t work properly, it winds up costing you an arm and a leg. Worse yet, extended periods of not having transportation make it difficult to live life and go to work. Let’s explore this thought experiment further. In the same way that your technology can break down, so too can your car. Here are three ways that technology failure is just as crippling as having problems with your automobile. 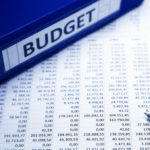 When you last went over your organization’s IT budget, did you notice how incredibly expensive certain hardware is? A server unit sets your business back a pretty penny, and if you’re a small business, you need all of the flexibility you can get with your budget. When you’re forced to spend so much capital at once, it can lead to deficits for months, or even years. Think about it in terms of the automobile. If you take care of your car, it can last for five, ten, or even twenty years, depending on the make and model. Otherwise, you have to take a loan out to pay for a new vehicle every couple of years, which is both difficult and expensive. There are a few notable exceptions to the above statement, but for most offices, technology has become a critical part of operations. 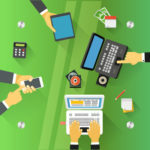 Due to the increased involvements that technology has with automating workflows and providing more efficient access to productivity applications, it’s no surprise that technology is not just required, but absolutely crucial. Thus, if the technology systems break down, the organization is out of luck. They won’t be able to access their data or applications until the problem is resolved. In a similar manner, the automobile is needed to drive places. If it breaks down, you’re stuck in one place, unable to move forward. This is especially a problem for those who live in an area where public transportation isn’t as developed as that of an inner city. Have you ever bought parts for your vehicle and put the time and effort into fixing it yourself? Unless you’re an expert, this can be a challenging endeavor. If you can’t tell your engine oil from your windshield washer fluid, chances are that you should let a professional mechanic take a crack at your problem. 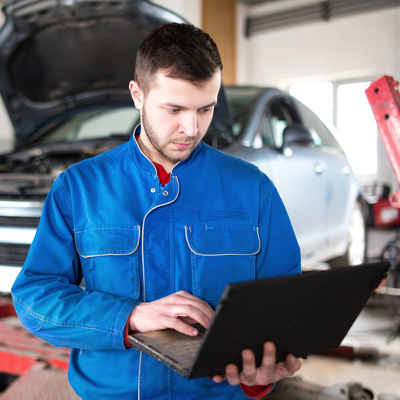 Just like a vehicle, your technology solutions need professional maintenance. Someone with a few days’ worth of experience won’t cut it. You need someone who has dedicated their life to the craft–someone who knows the quirks of cloud computing, and the pains of productivity suites. What you need is someone like Quikteks. Our professional technicians have been around the block a time or two, and we have the skills and expertise to help your business resolve even the most critical technology troubles. Furthermore, we take preventative and proactive measures to mitigate problems in the long run. To learn more, reach out to us at (973) 882-4644.